Create a warm and cozy setting with this beautiful frosted white full length mirror. 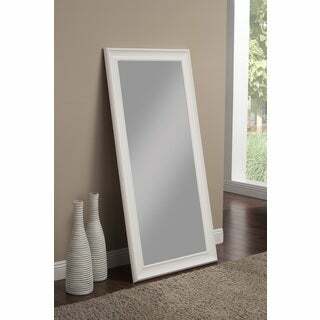 With this mirror, you have the ability to either lean it against your wall or mount it, whatever suits your style. Perfect for the bedroom or hallway, features a large scale with elegant curves, bringing a touch of softness and beauty to your home decor.